Trauma Informed Yoga is an effective adjunct therapy in the stabilization and healing of individuals struggling with the aftermath of exposure to trauma. By supporting and enhancing the efficacy of other therapeutic interventions, Yoga can contribute to an individual’s long term stability and recovery. Yoga and healthcare professionals can learn to utilize trauma informed Yoga with groups and individuals in order to safely support them in developing a sense of agency, safe embodiment, and an understanding of how to use their own bodies as a resource for self-regulation. This training is for anyone who wants to understand more about their own traumatic experience and healing journey and anyone who wants to know more about how to support others in theirs. Upon completion, participants will have a comprehensive understanding of the underpinnings and application of trauma informed Yoga theories and techniques. These techniques are simple, highly effective and versatile and can be easily integrated into a variety of settings. Explore & practice teaching therapeutic breathing and grounding techniques and the physical forms of Yoga. Registration limited to 16 participants. Training is 20 contact hours & 3 non-contact hours = 23 hours total, and is eligible for CEU’s with Yoga Alliance. All hours must be completed in order to obtain a certificate of completion for this training. *Accommodations not provided. Email us for a full listing of local places to stay, or with any questions. FAQ's and sample training schedule here. Nicole Marcia, MA, C-IAYT, YACEP, TCTSY-F has taught therapeutic yoga classes and offered individual sessions to trauma survivors since 2004. 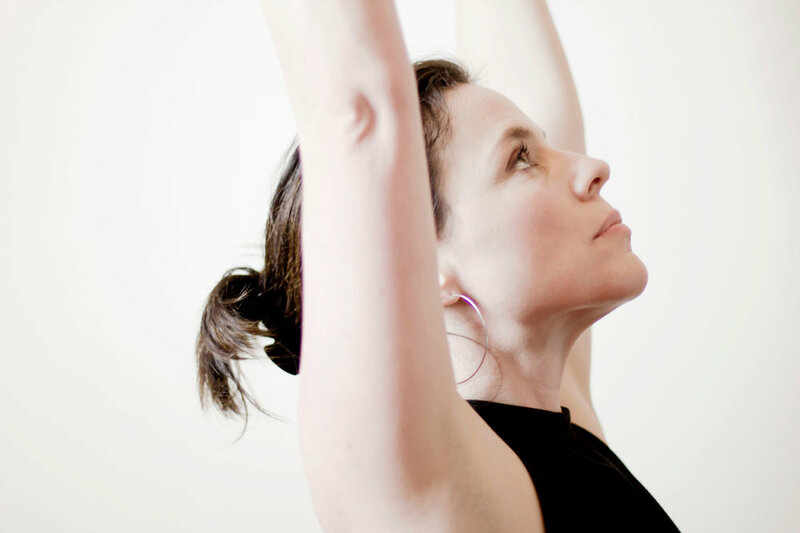 She trains yoga and health care professionals in the trauma-informed yoga theory and techniques required to support trauma survivors in their healing, long-term stability and recovery. In 2009, Nicole was awarded a master’s degree with a specialization in Yoga Therapy from Lesley University in Boston, MA. From 2008 – 2017 she served as the Director of Therapeutic Yoga Programming for the Provincial Health Services Authority at their Burnaby Centre for Mental Health and Addictions, where she developed and delivered a comprehensive Yoga Therapy program for in-patient clients in various stages of recovery from mental health and addiction issues. From 2007 - 2018 she delivered therapeutic Yoga programming at Onsite, the treatment arm of North America’s first safe injection site in Vancouver’s downtown east side. In 2017, Nicole completed 300 hours of training to become a certified Trauma Center Trauma Sensitive Yoga Facilitator (TCTSY-F) through the Trauma Center at the Justice Resource Institute in Boston, MA. She is also certified to teach Yoga in military communities through Warriors at Ease in Silver Spring, MD. Today, Nicole is the Program Director for Incorporating Yoga as a Trauma-informed Practice to Enhance Drug Treatment Outcomes for Justice Involved Youth as well as a training facilitator and mentor with Yoga Outreach, a not-for-profit organization providing volunteer Yoga teachers to marginalized populations. She is a faculty member at Ajna Yoga, Yoga Therapy International and the Vancouver School of Healing Arts and an instructor at Langara College Continuing Studies. She is a Certified Yoga Therapist (C-IAYT) with the International Association of Yoga Therapists and a member of Bridge for Health and the Breathe Network which connects survivors of sexual violence with healing arts practitioners.